We've lived in Orange County now for five years and as hard as we try to break out of routines we tend to stick to our favorite areas. However this weekend we finally branched out a little. Being a three day weekend (thank you Presidents day) we took full advantage of the great weather and time to enjoy our beautiful home and surrounding area. Jake & Amy came down this weekend. Jenn and Amy went to the Hyatt Huntington Beach for a girl day, while Jake and I had sushi and went to beach. When we went to the beach we discovered the Crystal Cove hiking trails. We weren't dressed for the occasion so I decided to bring Jenn down there on Monday morning. Boy am I glad we did. We took like 100 photos of Jake @ Crystal Cove. Have to get the Perfect Instagram Shot! 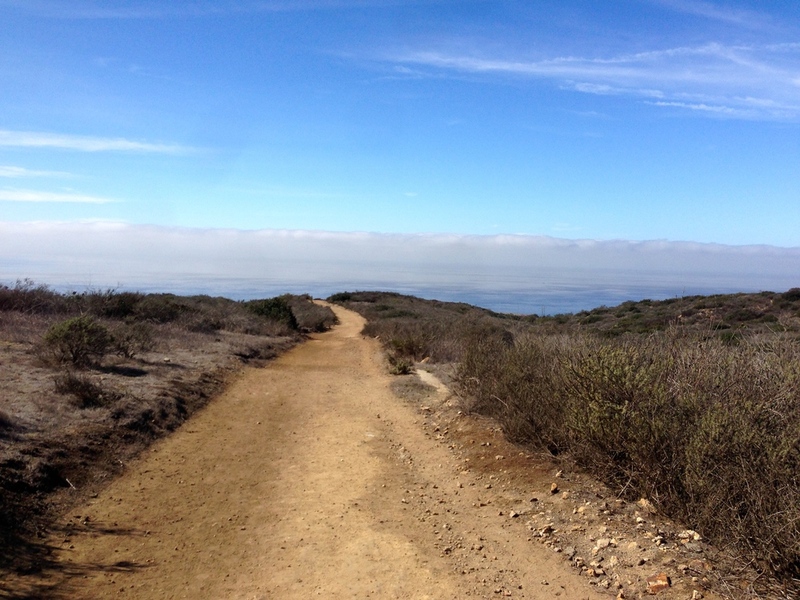 We got to the Crystal Cove State Park hiking trails at around 9:30 in the morning and hiked for three hours. The original goal was a two hour hike but a wrong turn had us backtrack about a 1/3rd of our hike to make it back to our car. It was just an absolute stunning day with both beautiful views of the mountains and ocean. The hike itself we estimate at around 6-7 miles. I was tracking it using my phone but my phone battery died about 2 hrs in. The good news out of all of this was it inspired us to go back and we hope to make the Crystal Cove State Park a weekend tradition going forward.